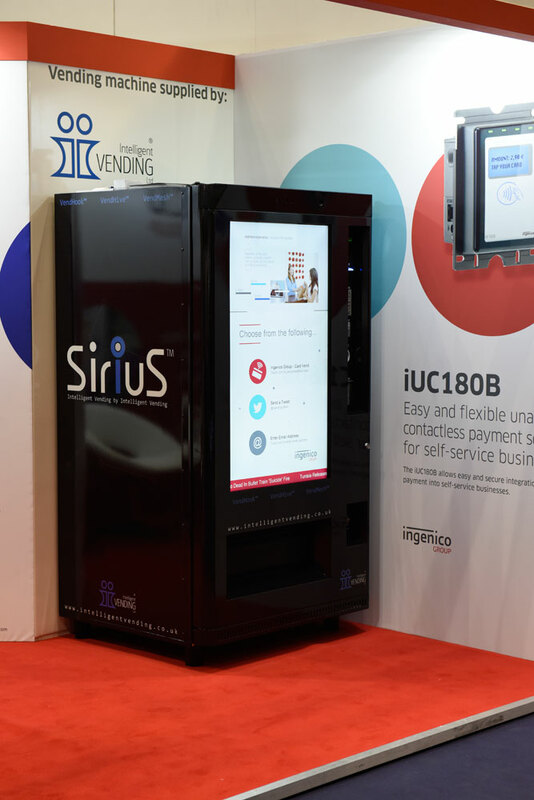 Our new SiriuS™ platform has been designed in-house by Intelligent Vending to resolve inherent issues in standard vending technology. Using SiriuS™ opens up a number of possibilities for our clients that all add value and increase ROI and efficiency, rather than the traditional approach which concentrates purely on the cash in, product out, retail ‘vend’ aspect. 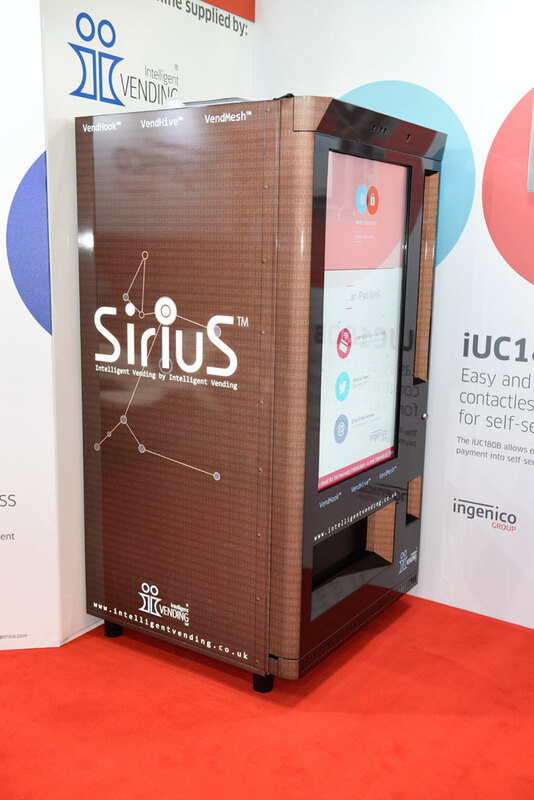 SiriuS™, with its large 46″ HD touchscreen and powerful software platform VendHook™, create a dynamic and interactive retail platform with significant potential for advertising, marketing, and raising brand awareness. The machine’s ability to interact both physically and virtually with customers via social media further enhances its commercial potential for operators. For many IV clients, the on-board vending function will be a secondary attraction behind other more commercially significant features. The complete platform comprising VendHook™ (our core PC control software platform), VendHive™ (our bi-directional cloud control and communication system), and Vendmesh™ (our own design next generation PCB controller), allow connectivity with a wide range of external components and peripherals. Together, these elements add impressive versatility to a machine while offering commercial add-on value in their own right. Equally, we are confident in the sophistication, robustness and technological advantages of our system compared with any others available in the market. While some producers have pursued a retro-fit or workaround route (the way we historically supplied non-standard machines), we have consciously developed our system from first principles. This approach has ensured maximum flexibility in operation and a significant degree of future-proofing. We have also designed our SiriuS™ platform to be user friendly for third party development via the comprehensive API (Application Programming Interface) and SDK (Software Development Kit). We want to give our clients scope to extend their own commercial horizons and innovate without the need to be reliant on Intelligent Vending software development services. For more details, please click the following link to visit our Intelligent Vending SiriuS™ website.